How do I know that it is time? You are lucky! You have developed a deep bond with a pet. That pet is now a beloved member of your family. As time goes on, you start seeing some changes in your pet and you realize that your pet has a much shorter lifespan than you do. Eventually, you notice that your pet is having some difficulties with routine things, perhaps your pet is showing some signs of being in pain, losing weight, vomiting or having diarrhea. How do you know if it is time to make that difficult decision? Ultimately, you are the best judge of your pet's quality of life, but your veterinarian can be of tremendous help. Perhaps the condition that your pet is facing is curable, or at least treatable? Your veterinarian can help you determine whether it is the correct time to help your pet pass with dignity and grace. You have made the decision and then you start feeling guilty - why? In your heart you know that it is the correct decision. 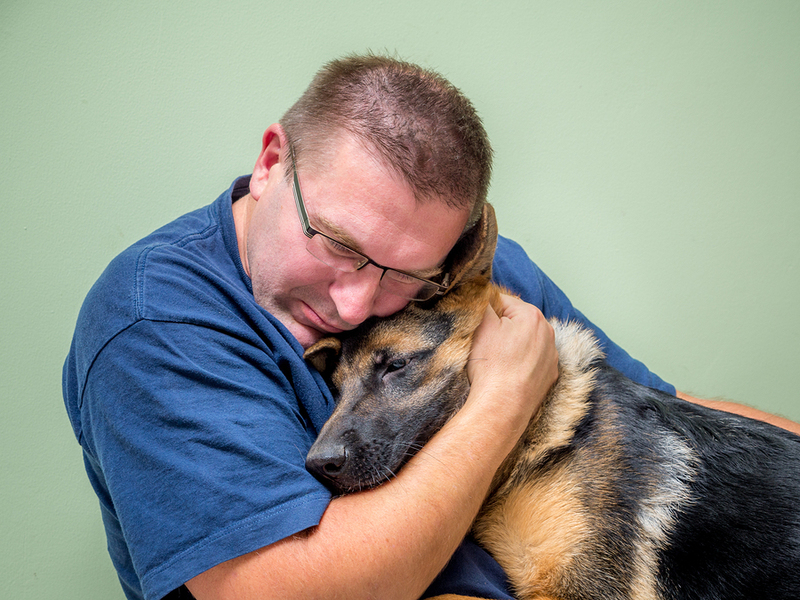 You have had a family talk, you have had a conversation with your veterinarian, yet you still feel guilty. OK, take a deep breath. This is a common and normal feeling. 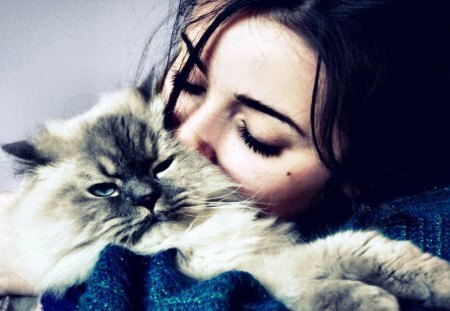 You have made the decision that you need to say good bye to your beloved pet. The guilty feeling should be replaced with a sense of peace. You are going to take away the pain and suffering that you know is only going to get worse. You are doing this because you LOVE your pet - do NOT feel guilty - you are doing the right thing and we will support your decision. Every veterinary hospital establishes their own protocol for humane euthanasia. You should discuss these things with your veterinarian in advance so you know what to expect. At St. Charles Animal Hospital, we will treat you and your pet with respect. We use the best drugs that we have been able to find to make sure that there is no pain associated with the procedure. These drugs only work properly if injected into a vein, so the first thing that we will do is place an IV catheter in your pet's front leg. This is an easy procedure, usually tolerated nicely by most pets. Many family members bring in some tasty treats to feed to their pet as the catheter is placed. The vet will then inject two drugs: The first is a medication that will make your pet gently fall asleep. Family members are encouraged to hug their pets as they go to sleep. The second drug is a large anesthetic overdose that will stop the heart. The entire procedure is gentle, painless, and fast. It is a personal choice - what to do with your pet after the procedure. Some families choose to take their pet home to bury in their yard. You should check with local authorities to make sure that this is legal in your community. The other options that we offer are either Private Cremation with ashes returned to you or Country Burial. These services are done for us by a company called Pet Memorial - we have dealt with them for many years and trust them. I need some help with my feelings - what can I do?